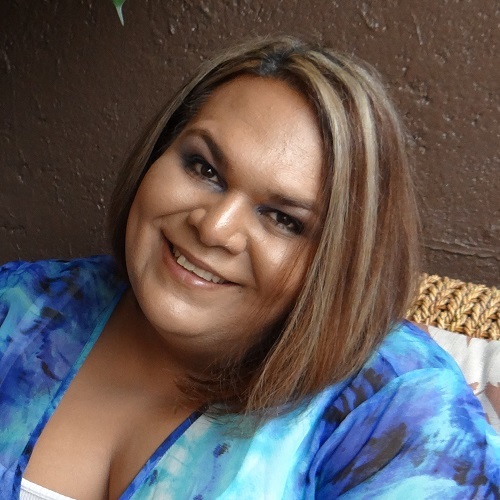 Natasha Jiménez Mata (she/her), from Costa Rica, has been a trans/intersex activist for approximately 30 years. She has done studies in Web design and graphic design. She began her work in the area of ​​information and prevention of HIV / AIDS and other STIs, including in the attention to persons in terminal AIDS stage in different State hospitals. She calls herself a feminist and has participated in different initiatives of the feminist and women's movement. She has also supported with her work different organizations that have worked on the rights of gays and lesbians such as the Costa Rican Association for the Fight against AIDS, the Latin American Institute for Prevention and Education in Health (ILPES), the Triangulo Rosa Association and the Research Center for Central America (CIPAC); and has been part of some publications such as: "What is the meaning of the revolution if we can not dance", "Interdictions, INTER / Intersexual Human Experience in a world of two sexes." She has worked in different areas of the OAS (Organization of American States), wheres he has Consultative Status, as well as the United Nations (United Nations), doing advocacy work and denouncing violations of the rights of trans and intersex populations in Latin America and other regions. She is currently a Consultant on trans and intersex issues and General Coordinator of Mulabi / Latin American Space of Sexualities and Rights, which is based in Costa Rica, but develops more projects and initiatives in the region.